UPDATE: The Brevard County School Board removed the agenda item for further review after the issue gained publicity this morning. BREVARD COUNTY, Florida - On the Brevard Public School Board meeting agenda for Tuesday, May 23, 2017, is a proposal by the BPS administration to transfer over $5 million from the half-cent sales tax fund to expedite a $7.85 million contract to put up fencing around schools. According to documents filed with the School Board, the multi-million dollar transfer "... may delay a summer 2018 sales surtax facility renewal project due to cash flow..."
Although the facility renewal program is on schedule and several out-of-sequence, replace-at-failure projects have been funded because BPS is collecting more from the sales tax than previously anticipated, the transfer would tie up funding for any emergency failure of an expensive project. "BPS will be spending most of its time and surtax money this summer on major building-renewal projects – new pipes, AC systems, electrical – that were the biggest problem addressed by voters," said BPS spokesperson Matt Reed. 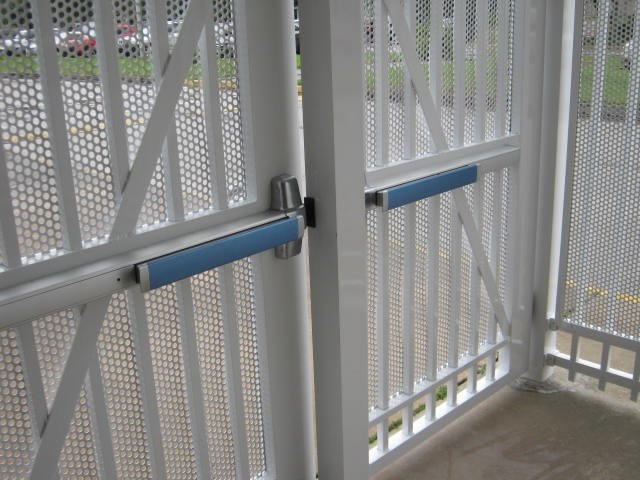 "However, it also will accelerate measures to improve security for our students including the installation of heavy-duty gates, security fencing and perimeter fencing that help keep intruders out of school breezeways while keeping excitable children from running off. This isn’t just cyclone fencing around a playground. The design and installation is one component of plans guided by the Brevard Sheriff’s Office, which now runs district security. " Reed said that the goal of the fencing projects are to channel school visitors to a single point of access, where they are met with other precautions including a new badging system and nearby school resource officers. "The eight-year work plan approved by voters called for spending 3 percent of the surtax money on security improvements including the gates and fencing," said Reed. "And, that’s what BPS had spent as of the start of spring semester. The plan calls for spending 83.5 percent on building repairs and renewal and 13.5 percent on updated computers and educational technology. The independent oversight committee and outside auditors confirmed spending had matched those percentages, too." The School Board will vote on the proposal at its meeting that starts tonight at 5:30 p.m.